The Brexit calendar shifted again this week when the EU27 agreed a flexible extension, pushing Brexit Day back for a third time to 31 October 2019. We take a look at what this new flexible extension (‘flextension’) might mean for the transport industry, what could happen next, and how best to prepare for the months ahead. What are the new Brexit dates? 23 April: Westminster officially broke up for their Easter recess yesterday – they’re not due back for the next 10 days. Talks are taking place behind the scenes, but there will be no further meaningful votes or firm progress on Brexit until after Easter. 23 May: If the UK hasn’t agreed to the Withdrawal Agreement by this date, then they must hold European Parliamentary elections as an EU member state. 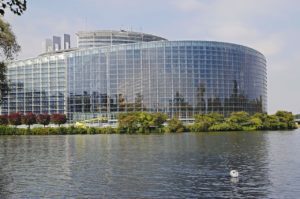 British MEPs will be elected and will sit in the European Parliament until the UK formally leaves the EU. 1 June: If, for any reason, the UK doesn’t take part in the European Parliamentary elections, then they will leave with no deal on this date. 31 October: this is the new extended Brexit Day deadline. The UK could technically leave the EU at any point before this date. This isn’t necessarily the end of Brexit; based on the indecision that we’ve seen over the past few months, there’s every possibility that the UK could remain in the EU beyond 1 November 2019. How should we plan for the next 6 months? The chances of a chaotic departure have shrunk significantly this week, but we are still maintaining contingency plans in readiness for any type of Brexit. We’re recommending our clients do the same. This 31 October flexible extension buys time for those in Westminster, and it gives a small degree of certainty to the transport industry (we know that the UK will remain a full EU member state, with the same rights and privileges, until Brexit is triggered), but we’re a long way from ‘business as usual’. The fact is the UK may still leave the EU sooner than 31 October, and a chaotic no-deal Brexit could still happen; these risks need to be included in all short-medium term business forecasts. Some good news is that, if the UK does choose to leave before 31 October, it will be with an agreement in place, so transport and import/export businesses will at least have a roadmap to follow. How likely is a no-deal Brexit now? If the UK fails to hold European Parliamentary elections by 23 May, then we’ll be looking at a no-deal Brexit on 1 June 2019. If the UK can’t reach a deal with the EU by 31 October, then we could face a no-deal Brexit before the end of 2019. Westminster still haven’t reached a workable consensus on Brexit. UK MPs have rejected the Withdrawal Bill 3 times now, but they’ve been unable to agree on potential alternatives to take its place. With the House of Commons deadlocked and every EU member state’s economy feeling the effects of Brexit uncertainty, ‘No Deal’ may look like the least-worst option by 31 October. How likely is a second UK Brexit vote? Another potentially more disruptive option on the horizon is that of another public vote in the UK. In an attempt to break the deadlock in Parliament, Theresa May is negotiating with Jeremy Corbyn, the leader of the opposition party, but early announcements suggest that little compromise is taking place. If the Labour and Conservative parties can’t agree a reasonable way forward together, then there may be a public vote in the UK. The simplest public vote would ask the UK to decide between leaving with Theresa May’s withdrawal agreement or leaving with no deal, but there’s also a slim chance of a second referendum on EU membership. If another public vote takes place, there’s no guarantee that it will give a clear indication on how to proceed with Brexit between now and 31 October; there’s every chance that the business climate becomes even more uncertain, and it becomes even harder for MPs to reach a sensible agreement. We’re watching Brexit closely and doing everything we can to ensure that, whatever happens next, we can continue to deliver excellence – on time – every time. Find our more about our Brexit preparations on the Baku Brexit Hub.